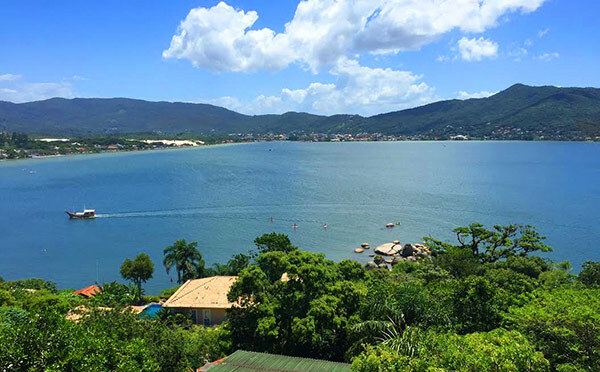 The beach and the nightlife are the top two reasons to visit Florianopolis, which has been named the party destination of the year by the New York Times. One of the best places to party is Lagoa de Conceição. If you plan your trip during the annual Santa Catarina Pro event, you can watch some of the world’s best surfers strut their stuff. There are over 40 beaches in Florianopolis, and the beaches in the south are generally less crowded. For a unique Florianopolis experience, give sandboarding a try! This sport involves gliding down white sand dunes on a wooden board and hourly board rentals are pretty cheap. Paragliding and windsurfing are also popular adventure activities for tourists. If you have a car, make a point to visit the Sao Joaquim National Park, which is a beautiful place to go hiking and view wildlife and plants. History buffs will enjoy exploring the old forts, which date back to the 18th century Spanish invasion. Lounge on the beach without a care in the world. Hike around Lagoinha do Leste between Pantano do Sul and Matadeiro to get active with beautiful views. Listen to some great live Samba music at a local bar. You can reach Florianopolis via Hercílio Luz International Airport, which is about 12 kilometers from the city center. There are dozens of buses that go around the city and to the beaches. However, some of these bus routes involve long layovers and take several hours. Renting a car in Florianopolis can be expensive, however, it makes exploring this beautiful region much more enjoyable. There are some great dining options available to both travelers on a budget and those willing to splurge a bit. This is also a great place for vegetarians, as there are some delicious pay-by-weight salad bars that are filling and meat-free. For cheap eats, look for restaurants where you pay by the kilo for your food. Research the local bus routes in advance and plan for layovers if you want to avoid renting a car.